Backyard-rink builder Matt Humes laid out the steps to creating the perfect, personal rink while talking to CBC Montreal's Daybreak. For the third year in a row, Beaconsfield resident Matt Humes has tackled a truly Canadian undertaking. He's built a 12-by-12-metre ice-skating rink in his backyard. 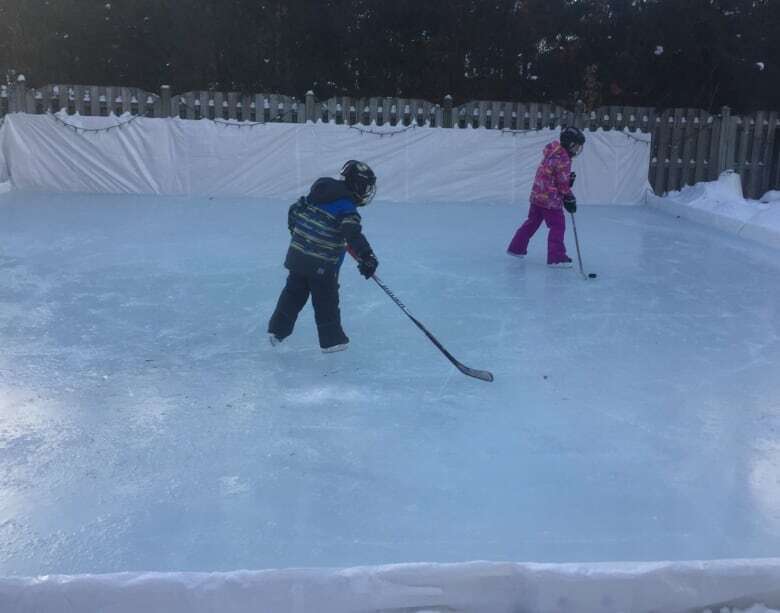 Humes said that there are many benefits to having his own personal rink so close at hand, such as being able to send his children out onto the ice anytime they get too rambunctious indoors. But as a father to four young children between the ages of five and nine, he said safety was also a concern. 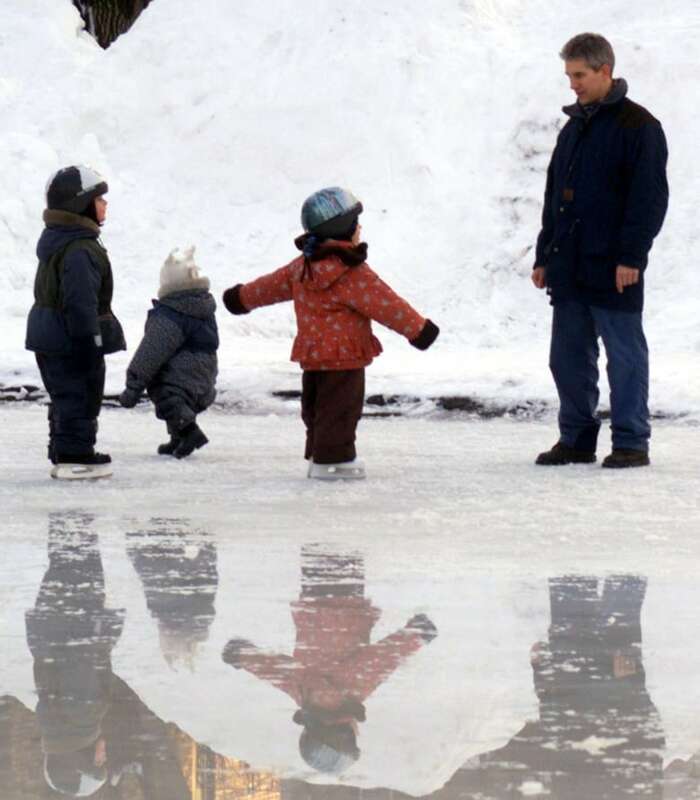 "If you go to an outdoor rink, you're dealing with a bunch of teenagers who probably aren't as sensitive," to the fact that they need to be cautious around young children, Humes said. "I've always been a bit wary of pucks flying around and getting nailed. This way it's in a bit more of a controlled environment." Humes told CBC Montreal's Daybreak how he builds the perfect, personal rink — explaining that the process isn't as hard as most people think. "You almost don't want to tell people it's not that bad, because you want them to think it's as brutal as you probably think it is," he said, laughing. While the size of the rink can vary to suit your needs, Humes said, "If you don't have a backyard, it's somewhat limited." The right kind of backyard is also important. Humes said that having a level yard is ideal, noting that those in Upper Westmount "might be out of luck." "If you live on a hill … it might be tough to build something like that," he said. "So you need to have something with not too much of a grade." Humes uses two-by-12 boards to build the walls of his rink. "You frame it out almost like a sandbox. A backyard sandbox," he explained. His own rink is 12 by 12 metres, but Humes said he's built them smaller in previous years as well. Once the walls are built, Humes said he simply tosses in a tarp that covers the entirety of the empty rink before preparing to fill the space with water. He notes that the tarp isn't always necessary, pointing out that most municipalities make the ice directly on grass or asphalt. "You do it in layers," he said, "You spray a little layer first and then you layer it on. That's how the cities would do it." "You've basically created a small pool, and what you do is you fill that up with your water," he said. It took more than half a day of continuous watering to fill up his winter's rink. "I think I had my hose running for about 14 hours," Humes said. Smaller rinks would take less time to fill, and Humes said he needed a little extra to even out the slight incline in his own backyard. The rink is about 30 centimetres at its thickest point, he said. But Humes warned that having the right weather conditions for the ice to freeze was integral to getting a smooth surface. "You have to have the cold, but you also can't have the snow," he explained. "So when you first let it freeze, you have to have a couple of cold days in a row. We're talking double digit minus with no snow in the forecast." Otherwise, he warned you could get a little crust of ice with the snow piled on top. The ideal temperature for freezing the ice is – 15 C, Humes said. Once the ice is frozen, Humes said some work has to go into keeping the rink in peak condition. "Every time it snows, you have another driveway to shovel," he warned, laughing. "You better have a strong back if you're shovelling a 40-by-40-foot rink all the time." Weather conditions affect the rink, too, he said. Freezing rain has to be chipped off. "Last year was just slush and rain, it was always a mess," Humes said. "Every time I just got the ice perfect, it's like someone was laughing at me from above." Humes recommends giving the rink a fresh coat of water 15 to 20 minutes after use, in order to keep the ice level. 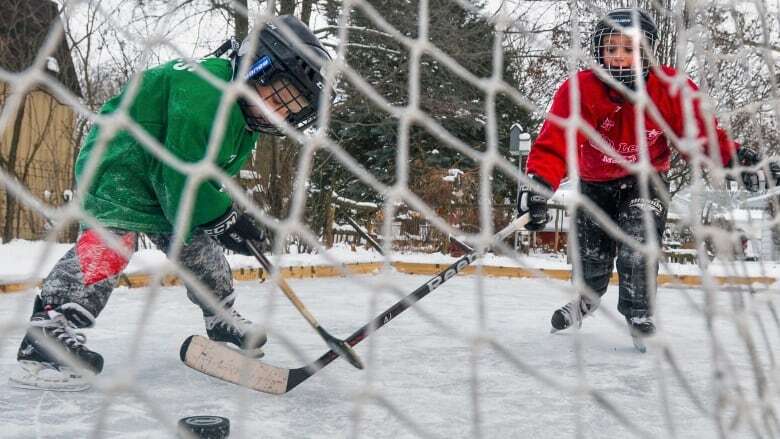 Is this the best backyard hockey rink in Canada?